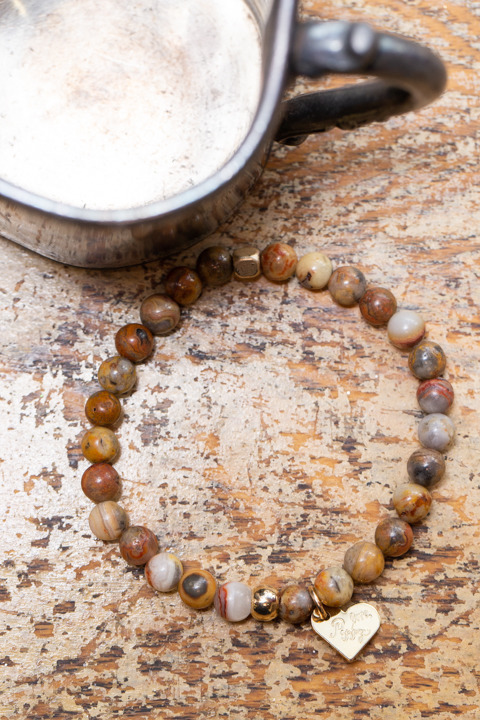 The Mars Beaded Bracelet made by Love Poppy Jewels has earth tone brown multi colored beads along with a darling gold heart and bead at the center. 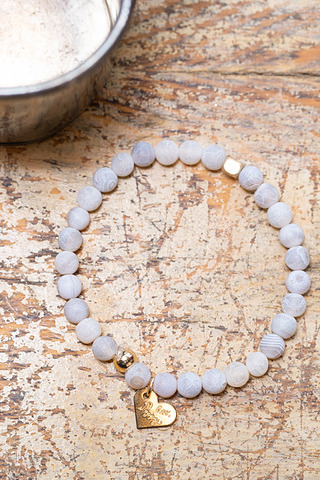 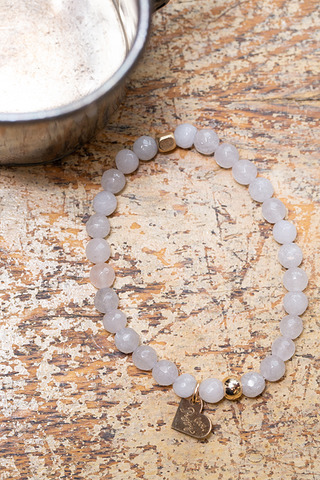 Pair this simple stretch bracelet with other beaded bracelets for the perfect stacked look. 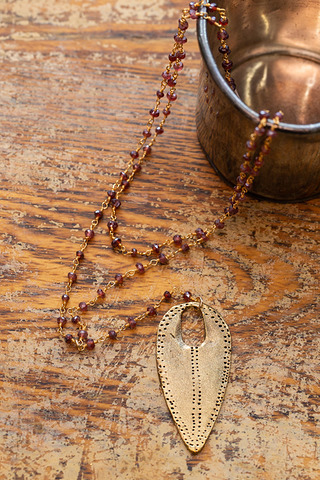 All beads will vary.